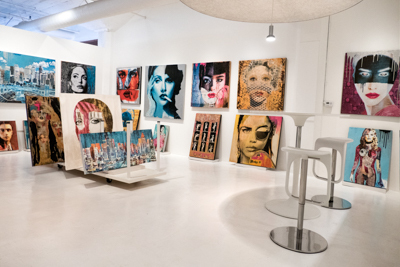 VISIT ANYES' STUDIO GALLERY IN THE LOS ANGELES DOWNTOWN ARTS DISTRICT AND MEET THE ARTIST! 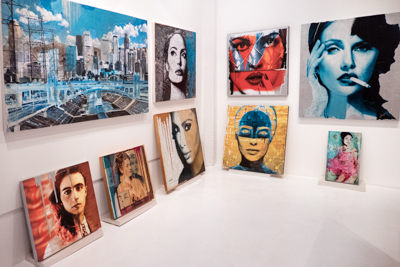 Adjacent to Anyes' studio, the gallery showcases a variety of mixed media artwork, including cityscapes, women and celebrity portraits by Anyes Galleani and text-based art by VERO VONN. 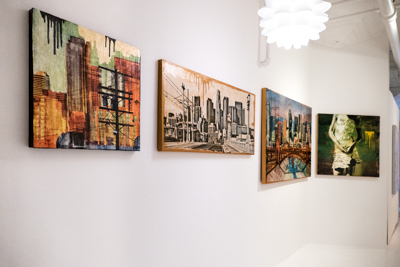 We are located near the Hauser & Wirth gallery on the second floor of an authentic artist loft building in the heart of the Los Angeles Downtown Arts District. We are open to the public on most Saturdays and by appointment during the week. For more information or to make an appointment, please call or text 213.537.0759. We look forward to meeting you!